Once blessed with the responsibility of nurturing a precious new life, it is natural that many new parents start exploring the benefits of a more holistic lifestyle approach for the health of their family. A child is the most susceptible to its environment in its early years. It’s comforting to know that taking a natural approach to parenting doesn’t have to “cost the earth” and can just mean including a few accessible home techniques, or shopping wisely. Babies need and indeed crave bodily contact in order to thrive. Studies have shown that babies who are massaged regularly are more relaxed, eat and sleep better, and have less colic and constipation. One of the best reasons to massage your little one is that it promotes bonding between parent and child, and a baby who is bonded is going to adjust to new situations and life in general, much more easily. A standard recommendation for pressure is to place your finger on your closed eyelid and press lightly, stopping before it feels uncomfortable. Use this as a gauge for how much strength to use on a newborn baby. As you massage your baby more often, you’ll get to know what type of pressure is good for them. On the abdominal area, always massage in a clock-wise direction as this follows the direction of flow in the digestive system. Choosing the right massage blends for babies and toddlers is essential. Smell is a powerful instinct and aromatherapy works with the senses helping to heal, relax and improve mood for both child and parent. Below is a guide for how you may like to use essential oils with babies and toddlers. Massage: To avoid skin irritation, always dilute essential oils with a carrier oil before using. The safest carrier oils to use on young skin are olive, jojoba, grape-seed, avocado and apricot kernel. Nut oils shouldn’t be used until 12 months of age in case of allergic reaction. Bathing – Disperse oils in 1/3 of a cup of milk then add to the bath just before turning off the taps. Inhalation – Add 1 drop of your chosen essential oil to your baby’s bedding or put it on a piece of muslin tied to the cot. Oil diffusers – Don’t use a diffuser until the child is 4 weeks or older and always keep well out of reach of little ones! 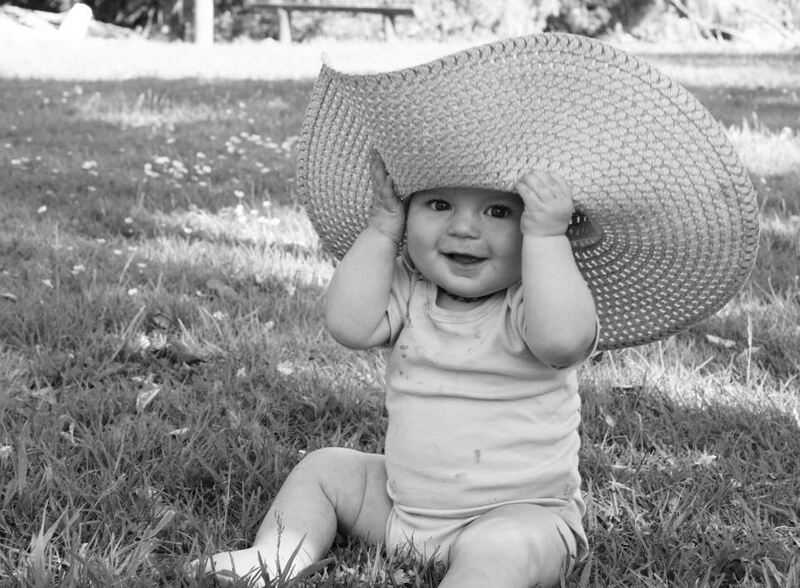 If your child has very sensitive skin, you may want to seek out organic fabrics. Even natural fabrics, such as cotton, are treated with pesticides while they are grown, and some of those pesticides will remain in the fibers. A natural approach to parenting doesn’t have to be an all-or-nothing endeavour. You don’t have to ban all synthetic fabrics from your house, move to a self-sustaining farm or snub modern-day parenting aids such as soothers or bottles. The most important thing to remember is that the loving and nurturing parenting style that occurs most naturally to you is the most pure and healthy form of ‘parenting naturally’. Renée Leonard-Stainton is a Naturopath, Nutritionist, and Mama to two healthy young boys. With extensive experience in both the health and media industries, Renée contributes to a variety of magazines and celebrity websites. She’s a regular on New-Zealand radio + TV, endorsing wellbeing products and featuring as a natural health expert.